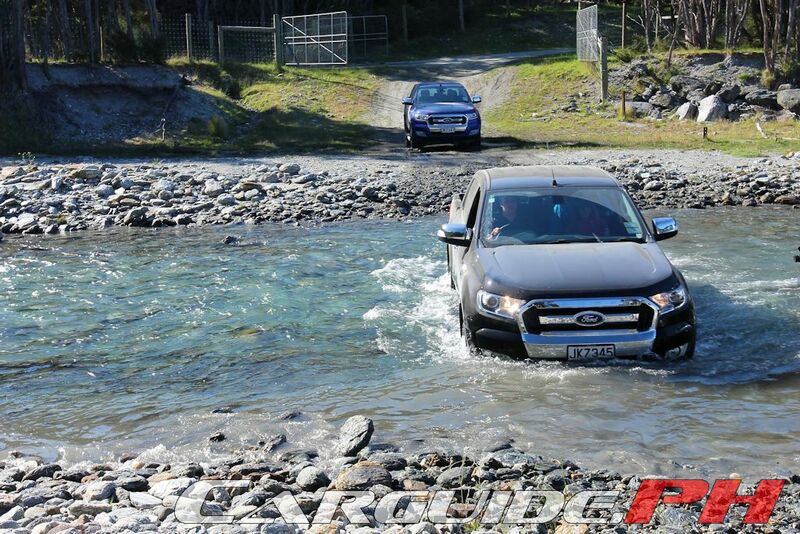 When you get an invitation to rough it with the Ford Ranger in “Middle Earth”, you don’t say no. You get your papers in order and get ready to leave, pronto. 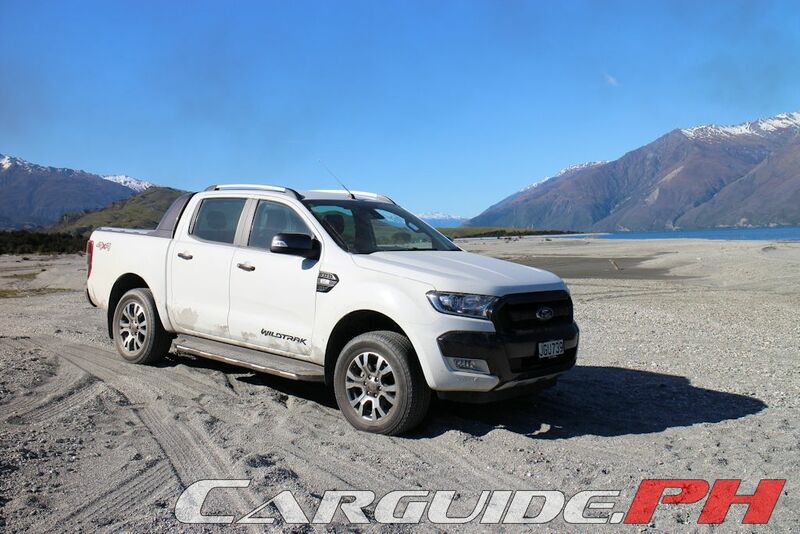 New Zealand is known for its picturesque wild natural beauty; perfect for the go-anywhere, do-anything nature of the Ranger. All that’s needed is for me to get ready for the adventure of a lifetime. 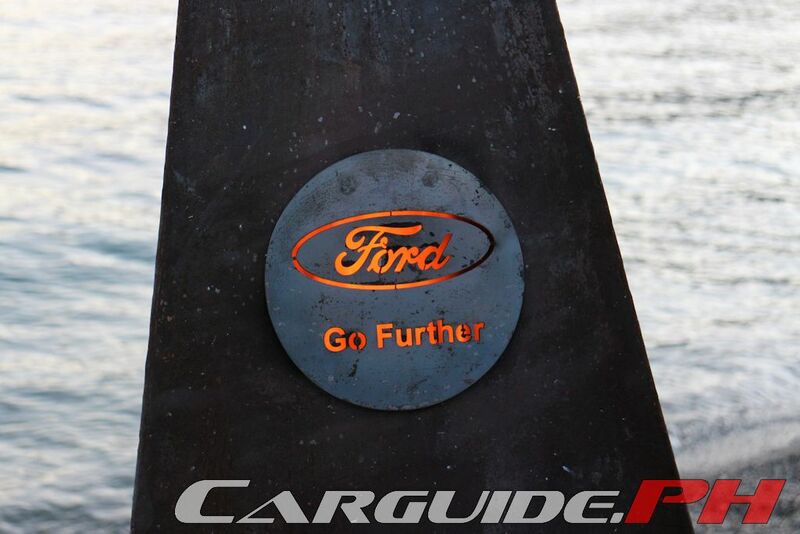 This isn’t your ordinary drive-and-drive event. I know this because we were ferried by helicopter from Wanaka, New Zealand to a working farm at the Minaret Station some ten minutes away. This is home for the next two nights. 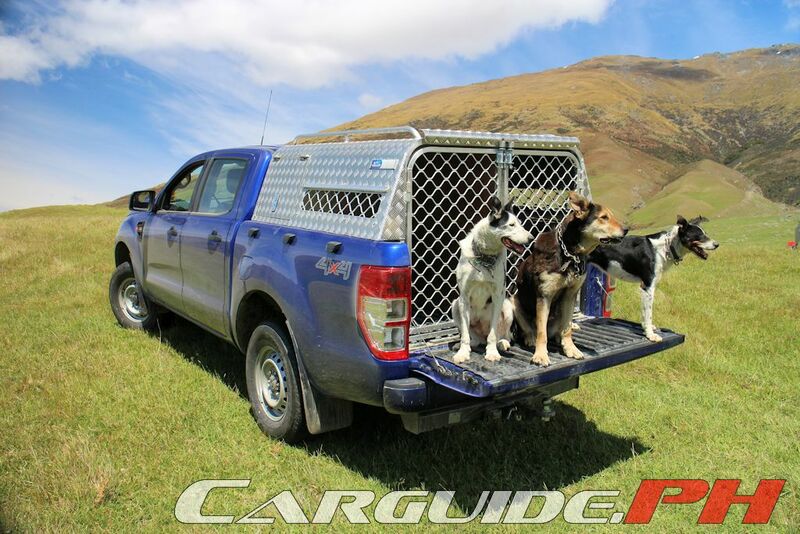 Upon my arrival, the fleet of Ford Rangers all looked prepped and ready. Ferried to the island by barge a couple of days earlier to help set up the camp, they look at home in this sort of terrain. Instructed to drop off my luggage in my tent, the group assembled to do the first order of the day: off-road driving training. Since there are no paved roads in Minaret, getting re-acquainted with this skill is a must. It looks like that scene from The Sound of Music, only Julie Andrews here is played by the Ranger. 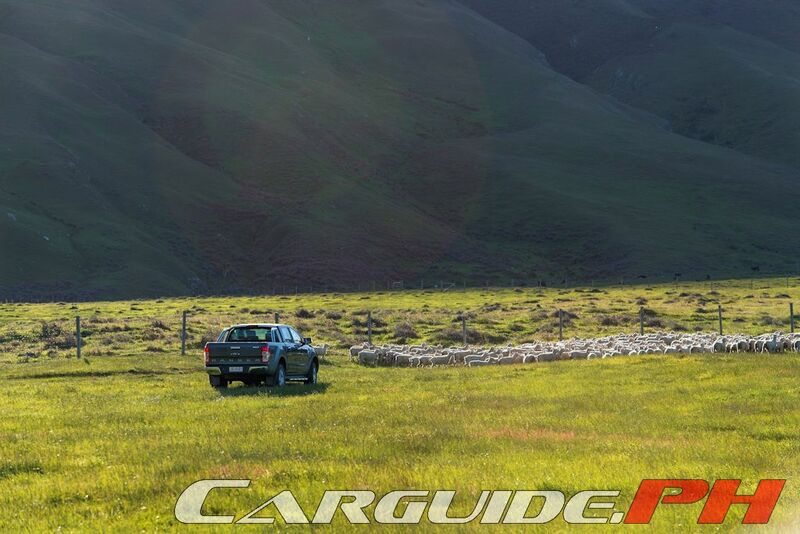 The hills are alive with the sound of the 3.2-liter inline-5. 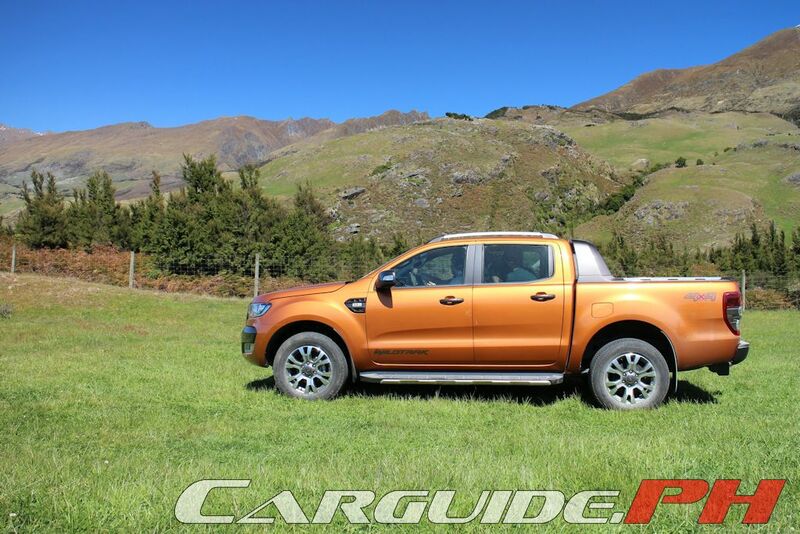 Because Ford customers in New Zealand use their pickup trucks for towing and hauling, the 200 horsepower, 470 Nm engine is standard across the range. 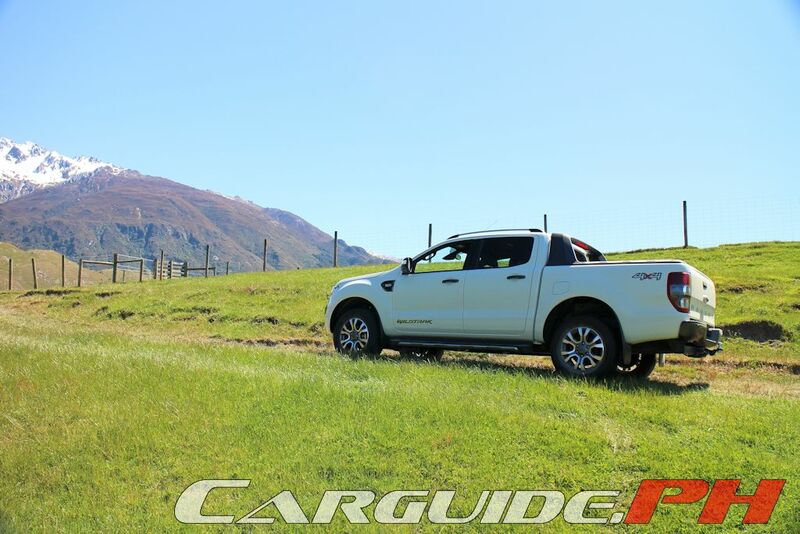 Thanks to this copious power and well-tuned suspension, the Ranger quickly and majestically climbed over hills like they weren’t there. 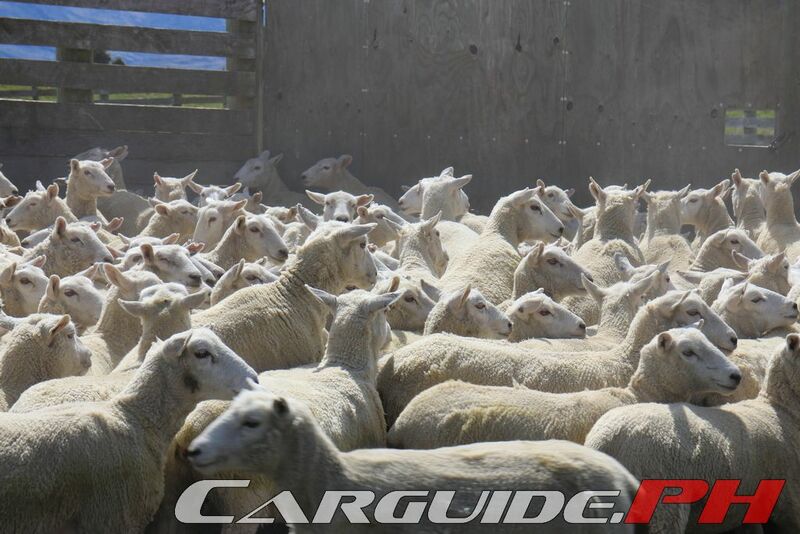 The surefootedness of the four-wheel drive with a locking rear differential (recently made standard in 2016 Philippine models) made it the automotive equivalent of a mountain goat. 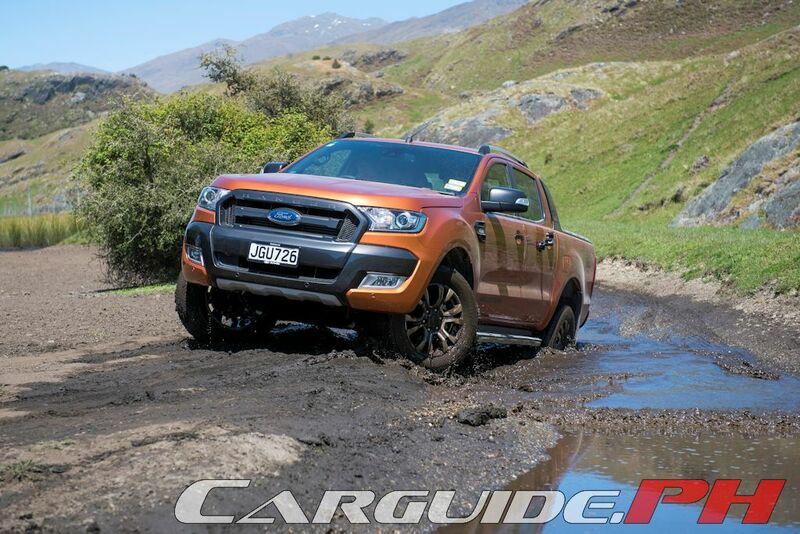 It can go through any obstacle including deep muddy pits. It’s also quite easy with technologies such as Hill Descent Control which regulated the maximum speed going downhill; all it takes is a few presses on the steering wheel. 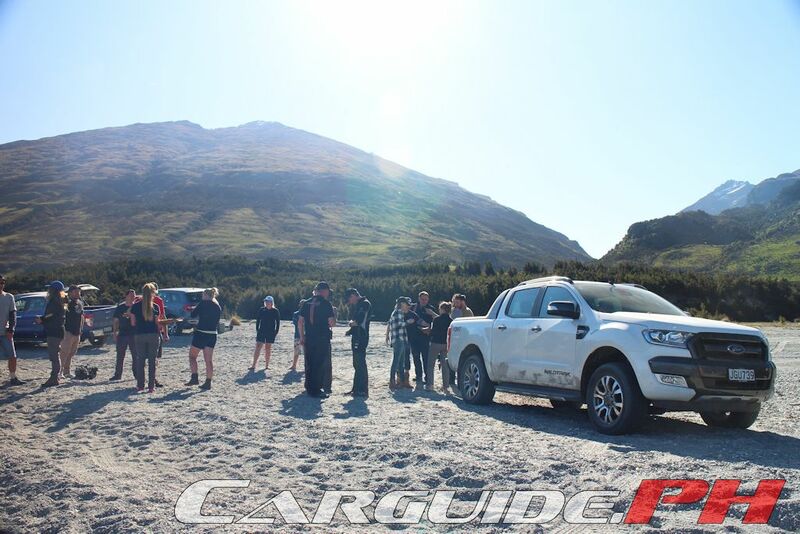 Done with the off-road instruction, it’s time to have fun, Ranger style. 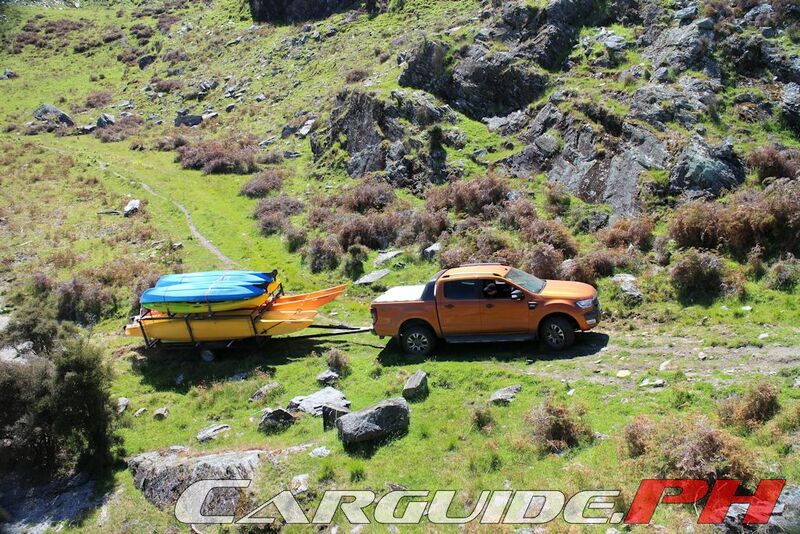 Loading kayaks is easy thanks to the rear parking camera. Mounted directly center (beneath the Ford Blue Oval actually), there’s no distortion to the video making precise maneuvers easy to accomplish. With a bunch of kayaks in tow, the Ranger crawls through what looked like no man’s land. Through the rocky hills and bushy fields, it’s important to tread careful as not to topple the load. 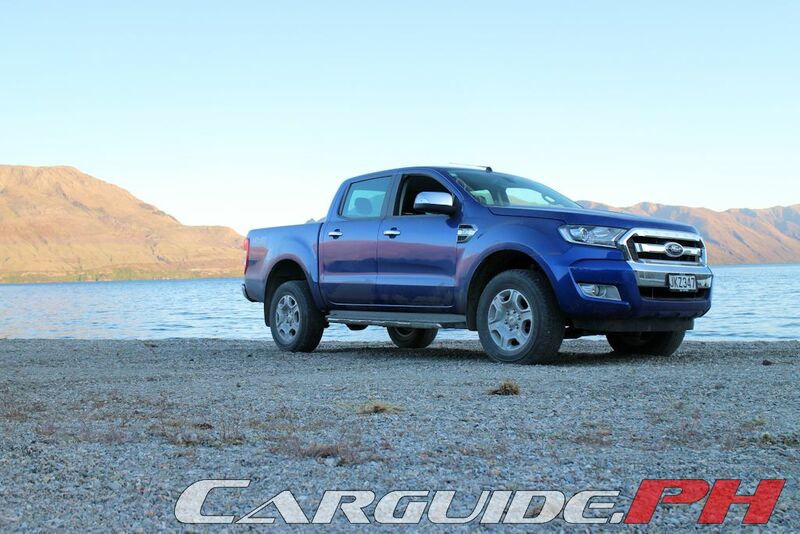 But with a towing capacity of 3.5-metric tons, the Ranger drives like they weren’t there. And after reaching the other side of Minaret Station after an hour or so, I finally made it to the pristine Lake Wanaka. Unloading the kayaking gear, it’s time to burn off some of those calories by paddling to the other side. While I chose kayaking, others went mountain biking while others went fishing. Others meanwhile stayed in the comfort of their trucks and looked for more terrain to conquer. 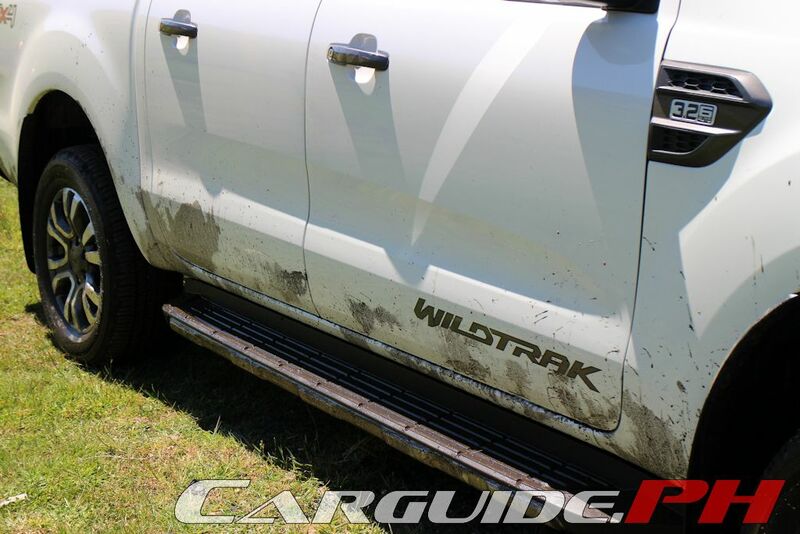 It’s clear that the Ranger is equally at home doing serious work or play. With its roomy and comfortable interior and advanced convenience features, it completes any task you ask of it. Day One ended as quickly as it started, but having a camp out by the lake near our tents capped off a memorable experience. 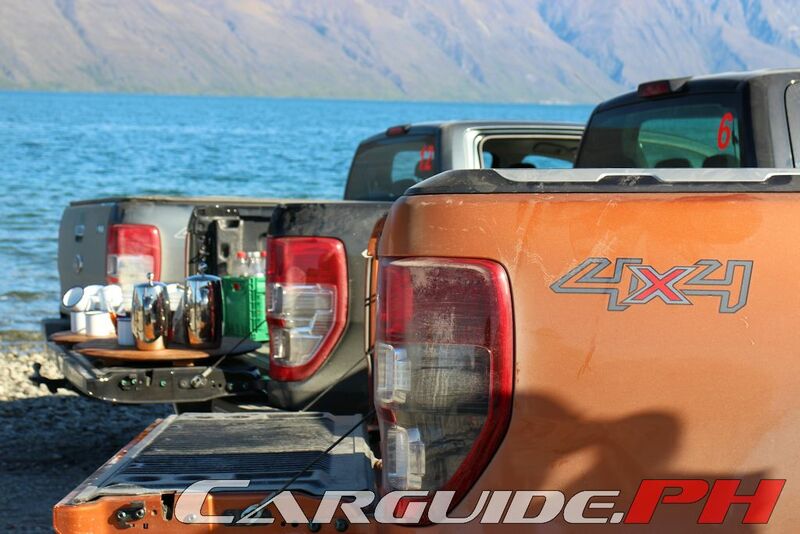 Day Two is reserved on seeing how the Ranger works on the island. This working animal farm has been using the Ranger for its day-to-day operation, using it to feed deer and herd sheep. With the help of a specially-prepared unit (the bed houses a kennel) and some four-legged friends, it’s amazing how farmers herd sheep here. It’s something you only see in the movies, so seeing it up close brings a smile to my face. 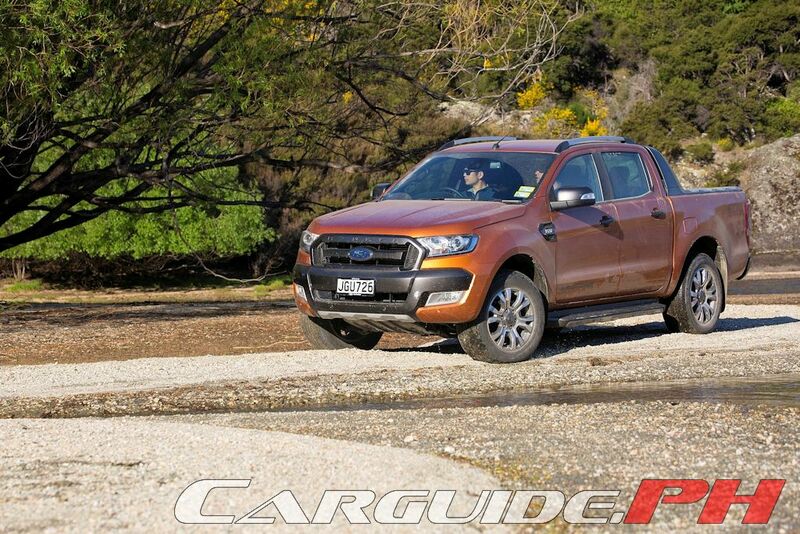 And just when I thought this experience was over, it’s now time to sample how the Ranger is on the tarmac. 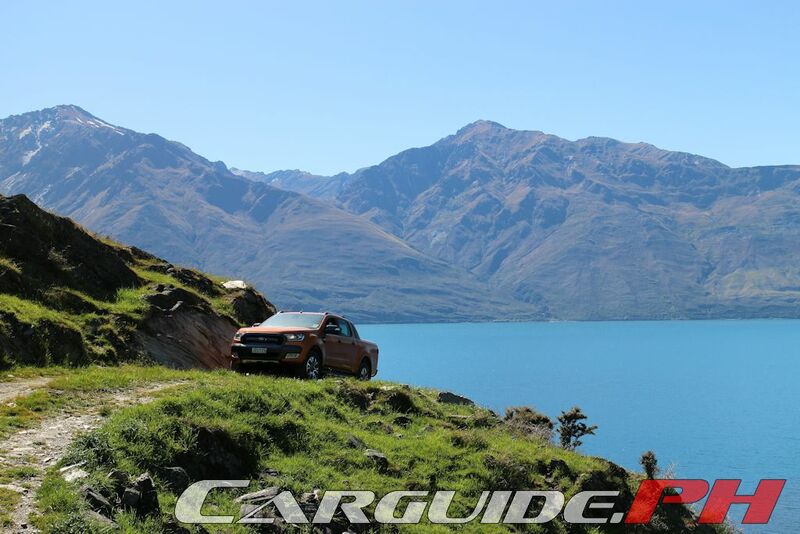 After packing up and leaving Minaret Station via helicopter, it’s time to take the long route and drive back to Wanaka through New Zealand’s beautiful, scenic back roads. Despite being unfamiliar with them, it feels easy and confident enough for these sorts of twisty roads. 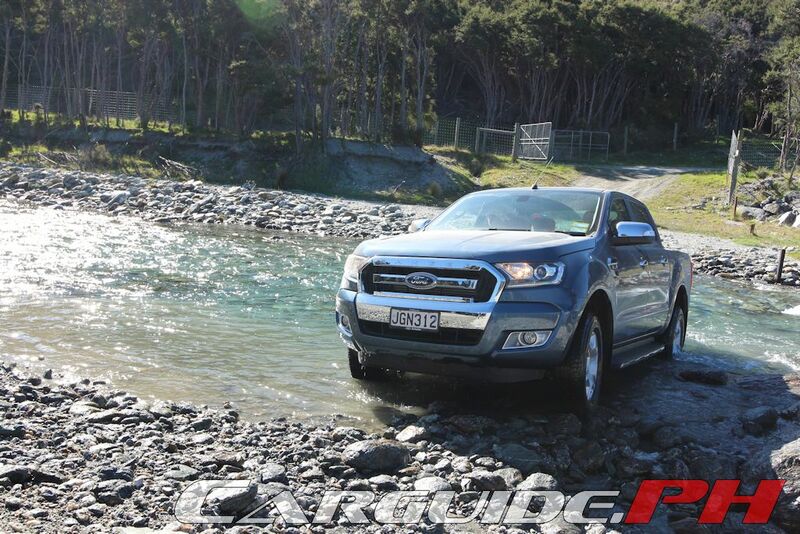 It’s clear why New Zealanders have taken to love the Ranger and it’s also clear why travelers fall in love with New Zealand. In the untamed wilderness of Minaret Station, the toughness of the Ranger made me experience New Zealand at its very best. 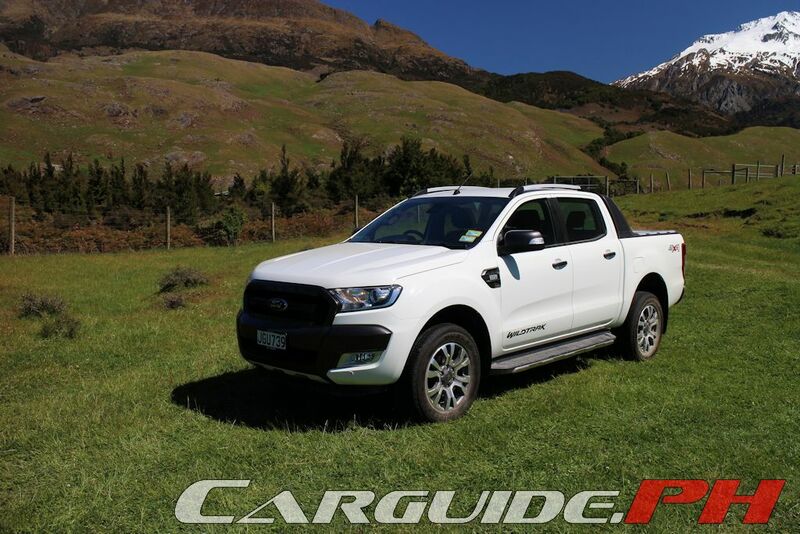 The experience that’s the Ford Ranger Camp proves that anything is possible when you have built and engineered the very best. 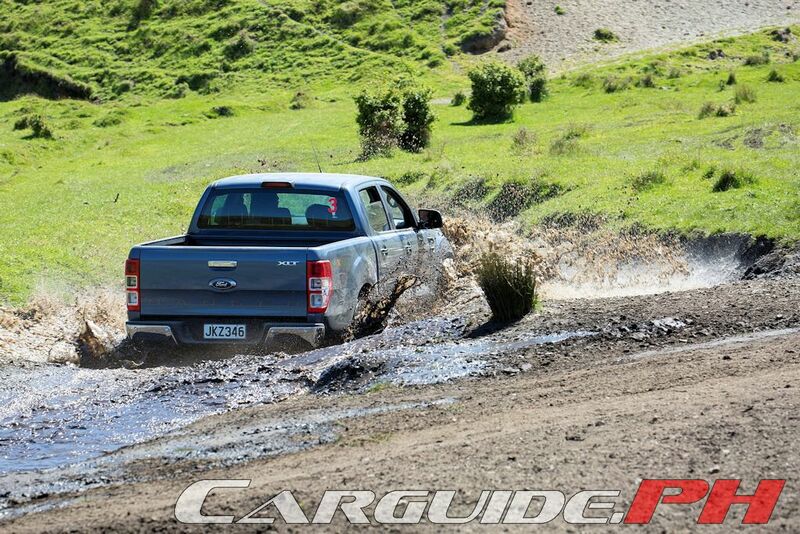 It continues to be a leader in its segment, but above all, it’s a pickup that has captivated the world. It’s truly a vehicle that anyone will be proud to own and confident to drive anywhere and do anything. 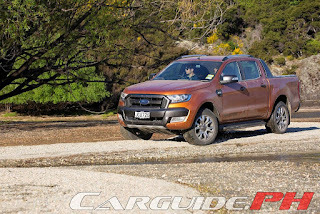 "The surefootedness of the four-wheel drive with a locking rear differential (recently made standard in 2016 Philippine models)" so this sir Uly, confirms that the Ranger Wildtrak has rear diff lock?!? Wohooo!!! 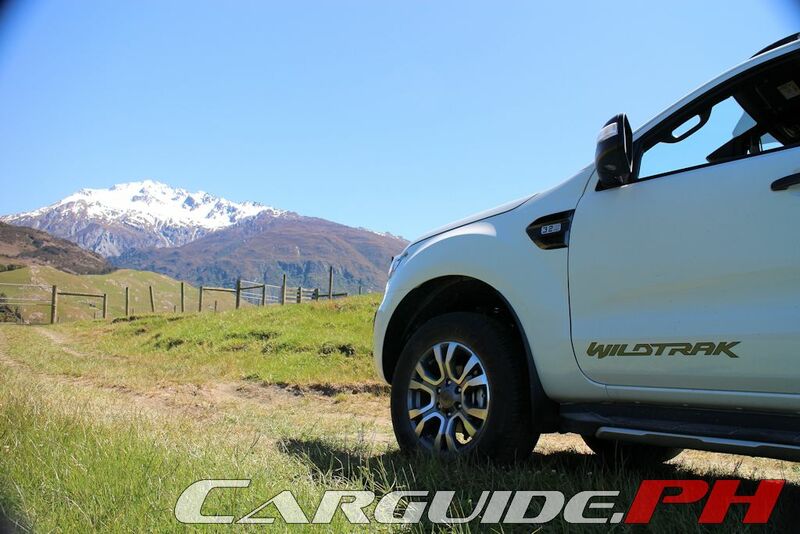 The Wildtrak 3.2 4x4 models now have rear differential lock, yes. 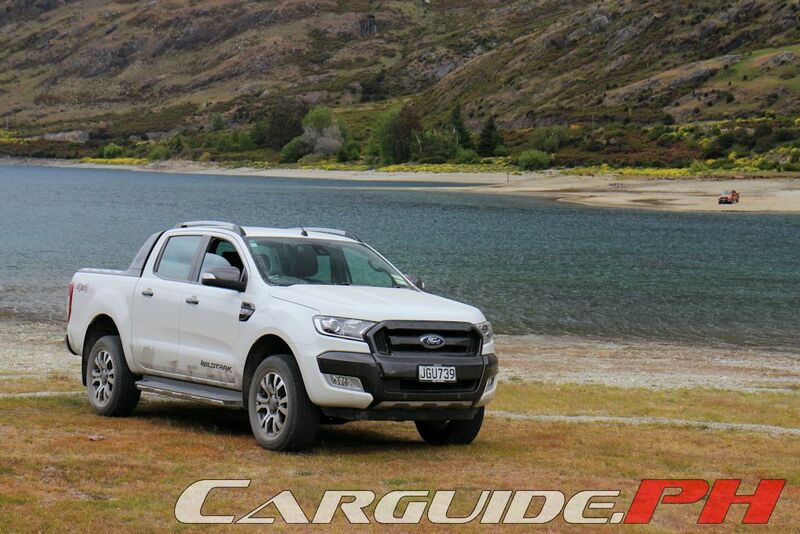 "And just went I though this experience is over, it’s now time to sample how the Ranger is on the road."